From 1983 to 1992, Owen practised at the Side-Bar. He was a partner in a top-tier intellectual property practice and litigated on behalf of local and international clients in areas of intellectual property, unlawful competition, and restraints of trade. He was admitted as a Fellow of the South African Institute of Intellectual Property Law and qualified as a Trade Mark Practitioner. In 1992 Owen was called to the Bar. He practised at the Pretoria Bar until late 1999, when he moved to Sandton and joined Maisels Group. As an intellectual property specialist, he has appeared – and still does – in all divisions of the High Court, and before the Supreme Court of Appeal, the Constitutional Court, the Commissioner of Patents, the Registrar of Trade Marks, and the Copyright Tribunal. At the last count, his appearances included over 75 reported cases. 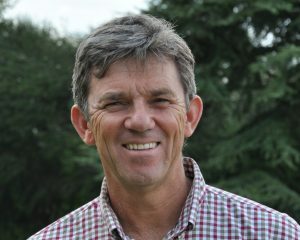 Owen is a Senior Adjudicator on the panel of the South African Institute of Intellectual Property Law for domain name disputes. In this capacity he has delivered numerous seminal judgments and has sat as an appeal panellist. He is also a member of the AFSA Domain Name Dispute Panel. For over a decade, Owen has been the External Moderator of the annual trade mark law examination for the South African Institute of Intellectual Property Law. The independently-sourced reference in the 2013 edition of “The World’s Leading Trademark Professionals” reflects that he “has particular strength in domain name issues although his trade mark offering is comprehensive” and that “he would certainly make the top of the list – a very well-regarded junior counsel.” Owen has also regularly published articles on developments in the laws of trade marks, copyright and unlawful competition in the trade publications De Rebus and Without Prejudice. He was until recently also a Board member of the Writers Guild of South Africa, the representative body for screenwriters in South Africa. In 2012 Owen was nominated for silk by the Johannesburg Bar Council.